E-Marketing in Minneapolis David Vinge, eMarketing Dashboard: Can You Protect Your Privacy From Facebook Places? Can You Protect Your Privacy From Facebook Places? On August 18, Facebook introduced Places, a new location feature that competes with other popular location services like Google Latitude, Foursquare, Loopt, and Gowalla. 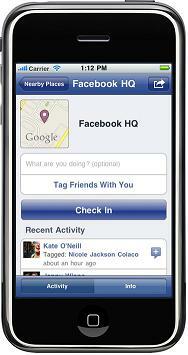 Places allows users to 'check in' to locations and to tag their friends as present (similar to tagging friends in photos). Everyone who is checked in to the location can see who else is listed as "Here Now" for a few hours after they check in. If you are checked in to a location, Places creates a thread in your friends' News Feeds and places a notice in the location's page's Recent Activity section. Places will roll out over the next few days. Note that even if you do not desire to report your location in Places, your friends might tag you as "Here Now" - even if you're not. (Video) Facebook Places: Critics Weigh In (via Newsy) Newsy takes multiple stories on the same topic and produces a news summary Links to the articles or video news stories mentioned are included.